There is a tremendous amount of misunderstanding about “Green Cards”, the common name for a Permanent Resident Card (I-551), which is proof that the holder is a legal permanent resident (LPR) of the U.S. This brief article gives a basic explanation of what Green Cards are, when they are needed and/or advisable, and what is necessary to retain them. The reader is strongly reminded, however, that each case is unique, based upon its complete facts, and thus the contents of this article should not be used as a substitute for competent legal counsel. One of the fundamental misconceptions many Germans have about Green Cards is that they are not required for someone who wishes to retire in the U.S. as long as the retiree has enough personal financial resources so that he/she does not need to work or receive any type of financial assistance or government benefit (e.g., Social Security, Medicare, etc.). Nothing is further from the truth. Unlike Germany, the U.S. does not have separate residence and work permits. All work visas (E, H-1B, J, L) automatically give the holder permission to reside in the U.S. while he is working for his sponsoring employer. Except for a Green Card, there is no such thing as a “residence-only” permit, one which would allow the person to reside in the U.S. as long as he does not seek employment. This issue often arises after an alien has bought a house in Florida and thinks that he will be allowed to retire there, only to learn that he does not qualify for LPR status. A Green Card allows the holder to reside permanently (1) in the U.S. and to work (if at all) for the company of his choosing. A Green Card is one of the prerequisites to acquiring U.S. citizenship through naturalization. One can apply to become a U.S. citizen after having a Green Card for three years (if it was obtained through marriage to an American citizen) or five years (if obtained through employment). While in the past there was no great need to ever take on American citizenship, this belief is changing. Recent and proposed changes in various immigration laws are making the acquisition of American citizenship a wise thing to do in more and more cases. For example, conviction of virtually any criminal offense can lead to Citizenship and Immigration Services (CIS) moving to deport the offender, even if the alien has lived in the U.S. for many years and has an American citizen wife and children. When Is A Green Card Required? Any time an alien wishes to permanently live in the U.S., a Green Card is required. Unfortunately, many persons and employers do not consider this issue until it is too late. A classic example is the employee who has been working for the same company in the U.S. for the past 5, 10, or even 20 years. The family’s entire life has become U.S. based: they own a home here, their children have been raised here and consider Germany a foreign country, and they have virtually no ties left with the Germany they left many years ago, let alone a desire to return there. The problem arises when they are forced to contemplate the end of their employment, whether due to retirement, downsizing, or whatever, and they first learn that they will not be allowed to stay in the U.S. In many such cases the employee might have qualified for a Priority Worker Green Card 2 had the employer filed the required petition in time. In this regard management should consider the possibility of applying for a Green Card on behalf of a valued qualifying employee as part of a comprehensive benefits package which should not only save the company money in the long run (by not having to deal with renewing visas or discovering that an employee has received the maximum stay allotted by his visa), but will boost the employee’s morale by making his future more secure and by giving his wife and minor children the right to work in the U.S. In addition, those employees with college-age children will be able to pay in-state tuition rates, a significant savings. As already shown, there are numerous advantages to having LPR status. For the alien these include having the right to reside permanently anywhere in the U.S. with his spouse and unmarried children under the age of 21; for him, his spouse, and his unmarried minor children to be able to work for anyone or for no one; freedom to travel to/from the U.S. without having to worry about U.S. visas; and the ability to apply for U.S. citizenship, though there is no requirement to ever do so (thus maintaining one’s German citizenship, German passport, and eligibility for German retirement benefits). For the employer, the benefits include more certainty and flexibility with regard to long-range personnel needs; a happier and therefore more productive employee; and an incentive which can be used to retain the best qualified employees. In the case of more senior employees, an offer to sponsor for a Green Card so that the employee can eventually retire in the U.S. can be utilized by both the company and employee as a valuable benefit. 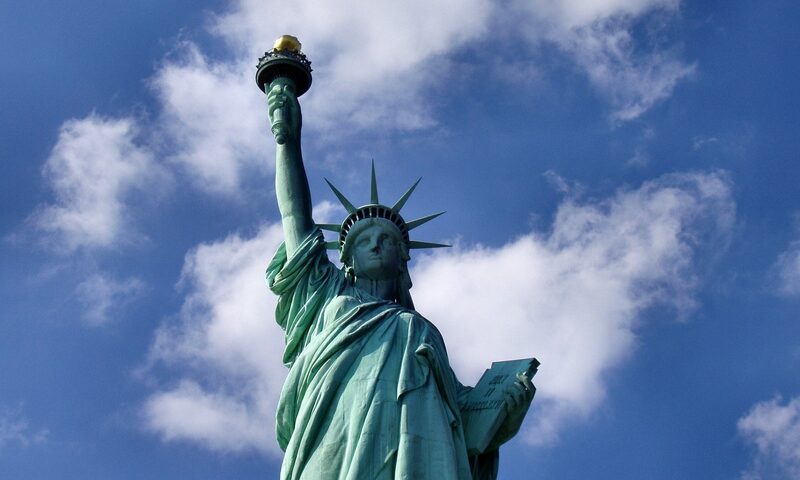 In order to retain LPR status, two basic requirements must be met: demonstration of an intent to keep the U.S. as one’s permanent home, and payment of taxes on one’s worldwide income (just like a U.S. citizen). Related to this is the possible need for a re-entry permit. If an LPR expects to be absent from the U.S. for more than one year (because, for example, he is being temporarily reassigned to the overseas parent company for 18 months), he needs to obtain a re-entry permit from CIS before his trip. By receiving such a permit the LPR has demonstrated to the INS that his planned long absence from the U.S. should not be construed as an abandonment of his intent to keep the U.S. as his permanent home. With regard to taxes, Federal law treats all LPR’s as U.S. tax residents, and thus they are required to file an annual income tax return based upon their worldwide income. Because of international tax treaties, however, an LPR generally does not pay double taxation. (Also, one must not confuse possible tax liability with the simple obligation to file a return, e.g., even with filing a return no tax may be owed.) If an LPR does not file a return, however, he is creating a presumption that he has abandoned his intent to keep the U.S. as his permanent home. While a Green Card may not be for everyone, nor will everyone who wants one qualify, it is clear that many companies and employees do not address the issue until it is too late. Since the petitioning employer must proffer, and the alien must accept, an offer of indefinite employment, it is critical that the petition be filed and LPR processing be completed before a fixed employment termination date has been reached. (1) “Permanent” is a relative term: an LPR must meet certain conditions to keep his Green Card, e.g., filing an annual Federal income tax return on his worldwide income, and the Federal Government can move to revoke Green Cards under certain conditions, such as fraud or abandonment of residence. (2 )This type of Green Card does not require the dreaded labor certification. As with an L1A (intracompany manager or executive) Visa and certain E-1 and E-2 Visas, if the employer can demonstrate to CIS that the alien was employed as a manager or executive by the overseas affiliated company for at least one of the three years preceding his entry into the U.S. and that he came to the U.S. in a similar capacity, the U.S. Labor Department is removed from the process.